usion Shakshuka. A perfect everyday breakfast recipe prepared with all readily available ingredients. 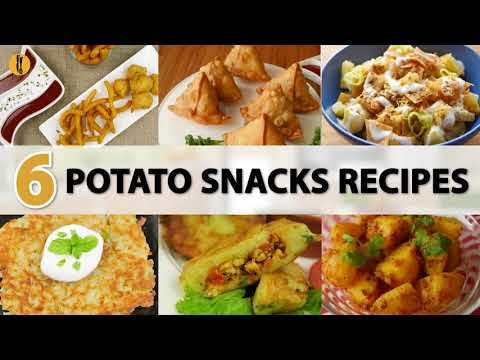 #HappyCookingToYou Written Recipe: https://goo.gl/roxKDR More Breakfast recipes: https://goo.gl/26ZqRk Recipe in English: Ingredients: -Aloo (Potatoes) peeled 3 medium -Namak (Salt) ¼ tsp or to taste -Kali mirch powder (Black pepper powder) ¼ tsp -Maida (All-purpose flour) 1 & ½ tbs -Oil 1 tbs -Pyaz (Onion) chopped 1 medium -Tamatar (Tomatoes) chopped 3 medium -Namak (Salt) ½ tsp or to taste -Haldee powder (Turmeric powder) ¼ tsp -Lal mirch powder (Red chili powder) ½ tsp or to taste -Dhania powder (Coriander powder) ½ tsp -Lal mirch (Red chili) crushed ½ tsp -Oil 1 tbs -Anday (eggs) 6-7 -Kali mirch (Black pepper) crushed -Lal mirch (Red chili) -Hara dhania (Fresh coriander) Directions: -Grate potatoes with the help of the grater. -Add salt,black pepper powder,all-purpose flour and mix well & set aside. -In frying pan,add oil,onion and fry until translucent. -Add tomatoes and mix well. -Add salt,turmeric powder,red chili powder,coriander powder and red chili crushed,cook until tomatoes are soft & set aside. -In the same frying pan,add oil and grated potatoes,spread evenly and cook on low flame for 2-3 minutes then flip carefully. -Add cooked tomatoes and spread evenly. 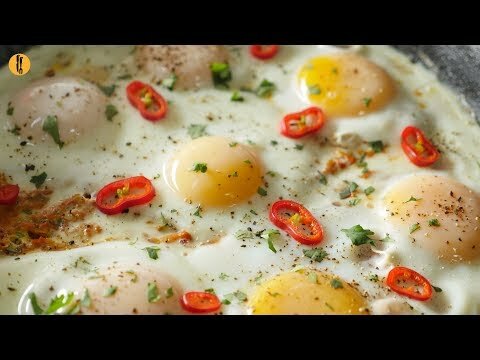 -Now add eggs one by one and cook on low flame for 2-3 minutes then cover and steam cook until eggs are done. -Sprinkle black pepper crushed,red chili,fresh coriander & serve. 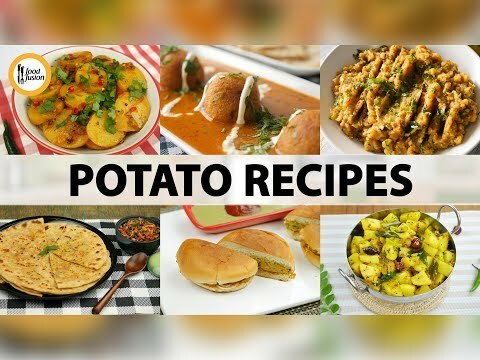 Recipe in Urdu: Ajza: -Aloo (Potatoes) peeled 3 medium -Namak (Salt) ¼ tsp or to taste -Kali mirch powder (Black pepper powder) ¼ tsp -Maida (All-purpose flour) 1 & ½ tbs -Oil 1 tbs -Pyaz (Onion) chopped 1 medium -Tamatar (Tomatoes) chopped 3 medium -Namak (Salt) ½ tsp or to taste -Haldee powder (Turmeric powder) ¼ tsp -Lal mirch powder (Red chili powder) ½ tsp or to taste -Dhania powder (Coriander powder) ½ tsp -Lal mirch (Red chili) crushed ½ tsp -Oil 1 tbs -Anday (eggs) 6-7 -Kali mirch (Black pepper) crushed -Lal mirch (Red chili) -Hara dhania (Fresh coriander) Directions: -Aloo ko grater ki madad sa grate ker lein. -Namak,kali mirch powder aur maida dal ker ache tarhan mix ker lein & side per rakh dein. -Frying pan mein oil aur pyaz dal dein aur translucent hunay tak fry ker lein. -Tamatar dal ker ache tarhan mix ker lein. -Namak,haldee powder,lal mirch powder,dhania powder aur lal mirch crushed dal dein aur tamatar naram hunay tak paka lein & side per rakh dein. -Us he frying pan mein oil aur grated aloo dal ker evenly pheela lein aur halki ancch per 2-3 minutes kliya paka lein phir carefully flip ker lein. -Cooked tamatar dal ker evenly pheela lein. -Ab ek,ek ker ka anday shamil karein aur halki ancch per 2-3 minutes kliya paka lein phir dhak dein aur anday pak janay tak steam cook ker lein. -Kali mirch crushed,lal mirch aur hara dhania dal ker serve karein. Mouth watering restaurant quality Spicy Hasselback Chicken With cheese recipe by Food Fusion #HappyCookingToYou More Recipes on: http://www.FoodFusion.com Spicy Hasselback Chicken with Cheese Recipe in English: Ingredients: -Chicken fillets 2 -Tomato ketchup 2-3 tbs -BBQ sauce 2 tbs -Sriracha sauce 2 tbs -Adrak lehsan paste (Ginger garlic paste) 1 & ½ tsp -Namak (Salt) 1 tsp or to taste -Paprika powder 1 tsp -Zeera powder (Cumin powder) 1 & ½ tsp -Lal mirch powder (Red chili powder) ½ tbs or to taste -Tamatar (Tomato) deseeded & sliced -Shimla mirch (Capsicum) -Cheddar cheese grated as required -Mozzarella cheese grated as required -Lal mirch (Red chili) crushed -Dried basil leaves Directions: -Add cuts on chicken pieces. -In bowl,add tomato ketchup,BBQ sauce,sriracha sauce,ginger garlic paste,salt,paprika powder,cumin powder,red chili powder and mix well. -Add chicken pieces,mix well and marinate for 2 hours. -Grease baking tray with oil and place marinated chicken piece. 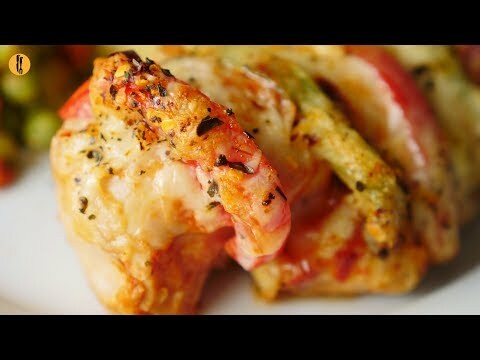 -Stuffed chicken cuts with tomato and capsicum. -Add cheddar cheese,mozzarella cheese and sprinkle red chili crushed and dried basil leaves. -Bake in preheated oven at 180 C for 35-40 minutes. 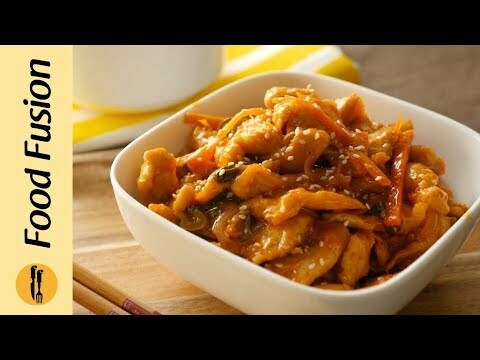 -Serve with mashed potatoes and stir-fried mix vegetables. Recipe in Urdu: Ajza: -Chicken fillets 2 -Tomato ketchup 2-3 tbs -BBQ sauce 2 tbs -Sriracha sauce 2 tbs -Adrak lehsan paste (Ginger garlic paste) 1 & ½ tsp -Namak (Salt) 1 tsp or to taste -Paprika powder 1 tsp -Zeera powder (Cumin powder) 1 & ½ tsp -Lal mirch powder (Red chili powder) ½ tbs or to taste -Tamatar (Tomato) deseeded & sliced -Shimla mirch (Capsicum) -Cheddar cheese grated as required -Mozzarella cheese grated as required -Lal mirch (Red chili) crushed -Dried basil leaves Directions: -Chicken pieces per cuts laga lein. -Bowl mein tomato ketchup,BBQ sauce,sriracha sauce,adrak lehsan paste,namak,paprika powder,zeera powder aur lal mirch powder dal ker ache tarhan mix ker lein. -Chicken pieces dal ker ache tarhan mix karein aur 2 hours kliya marinate ker lein. -Baking tray ko oil sa grease karein aur marinated chicken piece rakh dein. -Chicken ka cuts mein tamatar aur shimla mirch bhar dein. -Cheddar cheese aur mozzarella cheese dal dein,lal mirch crushed aur dried basil leaves chirak dein. -Preheated oven mein 180 C per 35-40 minutes kliya bake ker lein. 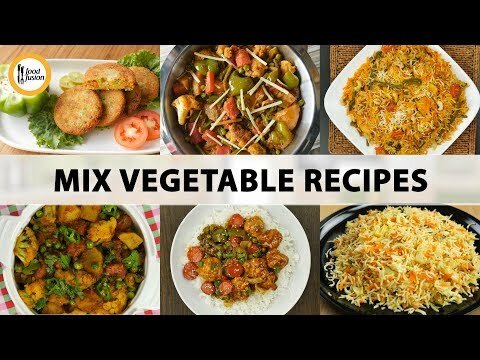 -Mashed potatoes aur stir-fried mix vegetables ka saath serve karein. 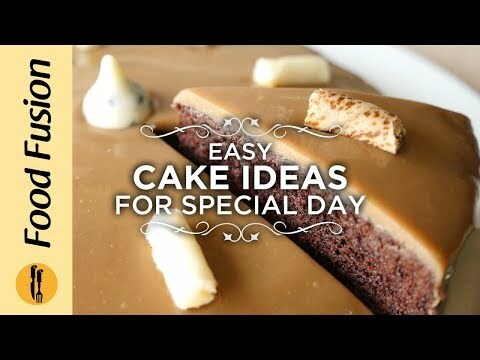 A great new recipe brought to you by Food Fusion. Try this Creamy Chicken Tikka Rice Soup recipe and enjoy the warmth this winter. #HappyCookingToYou Written Recipe: http://bit.ly/2QbfDHX Creamy Chicken Tikka Rice Soup Serves 4-5 Recipe in English: Ingredients: -Chicken tikka masala 1 tbs -Lemon juice 1 tbs -Chicken fillets ½ kg -Cooking oil 1 tbs -Koyla (Charcoal) for smoke -Cooking oil 1 tbs -Pyaz (Onion) chopped ½ Cup -Lehsan (Garlic) chopped 1 tsp -Tez pata (Bay leaves) 2 -Matar (Peas) 1/3 Cup -Gajar (Carrot) chopped 1/3 Cup -Hara pyaz (Green onion) chopped ½ Cup -Kernel corns boiled 1/3 Cup -Chawal (Rice) ½ Cup (soaked for 30 minutes) -Kali mirch powder (Black pepper powder) ½ tsp -Onion powder ½ tsp -Zeera powder (Cumin powder) ½ tsp -Dried parsley 1 tsp -Namak (Salt) ½ tsp or to taste -Chicken stock 1 & ½ litre -Doodh (Milk) 1 Cup -Corn flour 1 tbs Directions: -In bowl,add chicken tikka masala,lemon juice and mix well. -Add chicken fillets,mix well and marinate for 15 minutes. -In frying pan,add cooking oil and fry marinated fillets from both sides until done (approx. 5-6 minutes each side). -Give a charcoal smoke for 2-3 minutes,set aside & cut into cubes. -In chopper,add cooked chicken cubes,chop coarsely & set aside. -In pot,add cooking oil,onion and mix. -Add garlic,bay leaves and mix well. -Add peas,carrot,green onion and fry for 1-2 minutes. -Add kernel corns,rice and mix well. -Add black pepper powder,onion powder,cumin powder,dried parsley,salt and mix well. -Add chicken stock,mix well and bring it to boil. -Cover and cook on medium low flame for 30-40 minutes. -Remove bay leaves,add shredded chicken and mix well. -In milk,add corn flour,mix well and add it in pot,mix well and cook until thickens (approx. 2-3 minutes). -Garnish with green onion leaves,basil leaves & serve. Recipe in Urdu: Ajza: -Chicken tikka masala 1 tbs -Lemon juice 1 tbs -Chicken fillets ½ kg -Cooking oil 1 tbs -Koyla (Charcoal) for smoke -Cooking oil 1 tbs -Pyaz (Onion) chopped ½ Cup -Lehsan (Garlic) chopped 1 tsp -Tez pata (Bay leaves) 2 -Matar (Peas) 1/3 Cup -Gajar (Carrot) chopped 1/3 Cup -Hara pyaz (Green onion) chopped ½ Cup -Kernel corns boiled 1/3 Cup -Chawal (Rice) ½ Cup (soaked for 30 minutes) -Kali mirch powder (Black pepper powder) ½ tsp -Onion powder ½ tsp -Zeera powder (Cumin powder) ½ tsp -Dried parsley 1 tsp -Namak (Salt) ½ tsp or to taste -Chicken stock 1 & ½ litre -Doodh (Milk) 1 Cup -Corn flour 1 tbs Directions: -Bowl mein chicken tikka masala aur lemon juice dal ker ache tarhan mix ker lein. -Chicken fillets dal ker ache tarhan mix karein aur 15 minutes kliya marinate ker lein. -Frying pan mein cooking oil dal dein aur marinated chicken fillets ko dono sides sa pak janay tak paka lein (approx. 5-6 minutes each side). -2-3 minutes kliya koyla ka dhuwan dein aur cubes mein cut ker lein. -Chopper mein cooked chicken cubes dal ker coarsely chop ker lein & side per rakh dein. -Pot mein cooking oil aur pyaz dal ker mix karein. -Lehsan aur tez paat dal ker ache tarhan mix ker lein. -Matar,gajar aur hara pyaz dal ker 1-2 minutes kliya fry ker lein. -Kernel corns aur chawal dal ker ache tarhan mix ker lein. -Kali mirch powder,onion powder,zeera powder,dried parsley aur namak dal ker ache tarhan mix ker lein. -Chicken stock dal ker ache tarhan mix karein aur ubal anay dein. -Dhak ker halki darmiyani ancch per 30-40 minutes kliya paka lein. -Tez paat nikal lein aur shredded chicken ko dal ker ache tarhan mix ker lein. 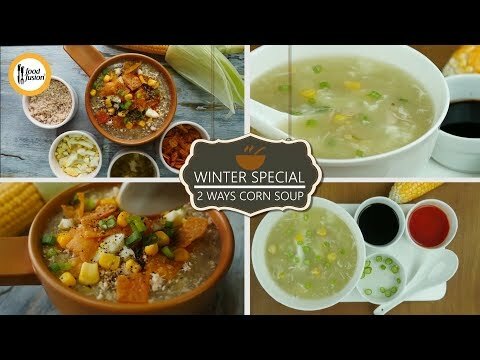 -Doodh mein corn flour dal ker ache tarhan mix karein aur pot mein dal ker garha hunay tak paka lein (approx. 2-3 minutes). -Hara pyaz aur basil leaves sa garnish ker ka serve karein. From streets to your home. 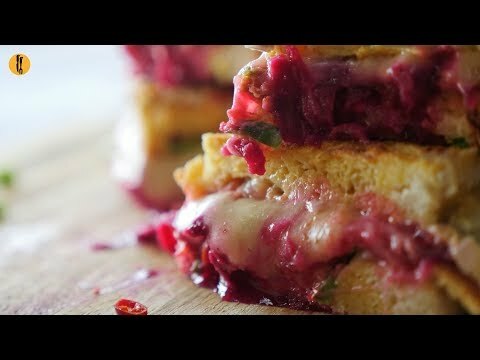 Here is food fusion\\\'s street style Egg Sandwich recipe. Give it a try and enjoy. #HappyCookingToYou written Recipe: https://goo.gl/VGxSPV More Recipes: http://www.foodfusion.com Street Style Egg Sandwich Recipe in English: Ingredients:- -Tamatar (Tomato) chopped 2 tbs -Pyaz (Onion) chopped 3 tbs -Hari mirch (Green chilies) chopped 1-2 -Lal mirch (Red chili) crushed ½ tsp -Lal mirch powder (Red chili powder) ½ tsp -Gajar (Carrot) chopped 1 tbs -Namak (Salt) ½ tsp or to taste -Anday (Eggs) 3 -Oil 1 tbs -Aloo (Potato) peeled & sliced 1 small -Namak (Salt) to sprinkle -Bread slices 2 -Cheddar cheese grated -Mozzarella cheese grated -Chukandar (Beet root) -Chaat masala -Tomato ketchup -Hara pyaz (Green onion) chopped -Lal mirch (Red chili) chopped Directions: -In small jug,add tomato,onion,green chili,red chili crushed,red chili powder,carrot,salt and eggs,mix well & set aside. -Heat griddle,add oil and potato slices,sprinkle salt and fry from both sides. -On fried potato,add omelet mixture and spread evenly. -Add bread slices and press gently,add omelet mixture,spread evenly then flip carefully. -Add cheddar cheese,mozzarella cheese,beet root,chaat masala,tomato ketchup then cover with top slice. -Sprinkle green onion and red chili. -Cut into slices & serve. Recipe in Urdu: Ajza: -Tamatar (Tomato) chopped 2 tbs -Pyaz (Onion) chopped 3 tbs -Hari mirch (Green chilies) chopped 1-2 -Lal mirch (Red chili) crushed ½ tsp -Lal mirch powder (Red chili powder) ½ tsp -Gajar (Carrot) chopped 1 tbs -Namak (Salt) ½ tsp or to taste -Anday (Eggs) 3 -Oil 1 tbs -Aloo (Potato) peeled & sliced 1 small -Namak (Salt) to sprinkle -Bread slices 2 -Cheddar cheese grated -Mozzarella cheese grated -Chukandar (Beet root) -Chaat masala -Tomato ketchup -Hara pyaz (Green onion) chopped -Lal mirch (Red chili) chopped Directions: -Chotay jug mein tamatar,pyaz,hari mirch,lal mirch crushed,lal mirch powder,gajar,namak aur anday dal ker ache tarhan mix ker lein & side per rakh dein. -Tawa garam karein,oil aur aloo ka slices dal dein aur namak chirak ker dono sides sa fry ker lein. -Fried aloo per omelet mixture dal ker pheela lein. -Bread slices rakh ker gently press ker lein aur omelet mixture dal ker pheela lein aur carefully flip ker lein. -Cheddar cheese,mozzarella cheese,chukandar,chaat masala aur tomato ketchup dal dein aur top slice sa cover ker lein. -Hara pyaz aur hari mirch dal sprinkle ker lein. -Slices mein cut ker ka serve karein. For a lot of you this will be something new. Do give it a try. 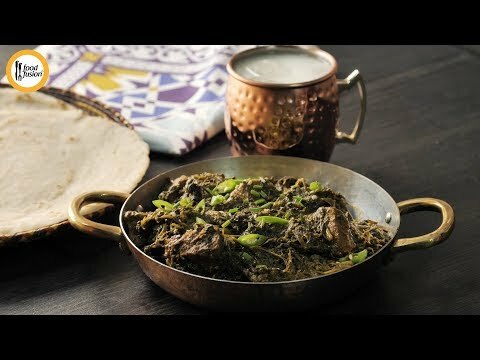 Make Bohra Dabba Gosht and enjoy the fusion of flavors #HappyCookingToYou #FoodFusion Written Recipe: https://goo.gl/rrAcm7 More Recipes: http://www.foodfusion.com Bohra Dabba Gosht Recipe in English: Ingredients: -Hari mirch (Green chilies) chopped 4-5 -Kaju (Cashew nuts) ¼ Cup -Kashkhash (Poppy seeds) 2 tbs -Pani (Water) 2-3 tbs or as required -Ghee 2-3 tbs -Zeera (Cumin seeds) 1 tsp -Maida (All-purpose flour) 1 & ½ tbs -Pyaz (Onion) grinded 1 Cup -Adrak lehsan paste (Ginger garlic paste) 1 & ½ tbs -Mutton boneless cubes ½ kg -Dahi (Yogurt) whisked 1 Cup -Namak (Salt) 1 tsp or to taste -Garam masala powder 1 tbs -Pani (Water) 2-3 Cups or as required -Tamatar (Tomato) sliced 1 medium -Hara dhania (Fresh coriander) chopped -Anda (Egg) whisked 1 -Oil (hot) ½ Cup Directions: -In grinder,add green chilies,cashew nuts,poppy seeds and water,grind to make a paste & set aside. -In pot,add ghee and let it melt. -Add cumin seeds and mix. -Add all-purpose flour and mix well for 2 minutes. -Add grinded onion and mix well. -Add ginger garlic paste,mix well and cook for 4-5 minutes. -Add mutton and mix well until changes color. -Add yogurt,ground paste and mix well. -Add salt and garam masala powder,mix well and cook for 2-3 minutes. -Add water,mix well and bring it to boil. -Cover and cook on medium low flame until meat is tender (20-25 minutes). -In serving dish,add cooked meat,tomato slices,fresh coriander and pour beaten egg and hot oil. -Microwave for 1-2 minutes & serve! Recipe in Urdu: Ajza: -Hari mirch (Green chilies) chopped 4-5 -Kaju (Cashew nuts) ¼ Cup -Kashkhash (Poppy seeds) 2 tbs -Pani (Water) 2-3 tbs or as required -Ghee 2-3 tbs -Zeera (Cumin seeds) 1 tsp -Maida (All-purpose flour) 1 & ½ tbs -Pyaz (Onion) grinded 1 Cup -Adrak lehsan paste (Ginger garlic paste) 1 & ½ tbs -Mutton boneless cubes ½ kg -Dahi (Yogurt) whisked 1 Cup -Namak (Salt) 1 tsp or to taste -Garam masala powder 1 tbs -Pani (Water) 2-3 Cups or as required -Tamatar (Tomato) sliced 1 medium -Hara dhania (Fresh coriander) chopped -Anda (Egg) whisked 1 -Oil (hot) ½ Cup Directions: -Grinder mein hari mirch,kahu,kashkhash aur pani dal dein aur grind ker ka paste tayyar ker lein & side per rakh dein. -Pot mein ghee dal ker melt karein. -Zeera dal ker mix ker lein. -Maida dal dein aur 2 minutes kliya ache tarhan mix karein. -Pyaz grinded shamil karein aur ache tarhan mix ker lein. -Adrak lehsan paste dal ker ache tarhan mix karein aur 4-5 minutes kliya paka lein. -Mutton dal dein aur rang tabdeel hunay tak ache tarhan mix ker lein. -Dahi aur ground paste dal ker ache tarhan mix karein. -Namak aur garam masala powder dal ker ache tarhan mix karein aur 2-3 minutes kliya paka lein. 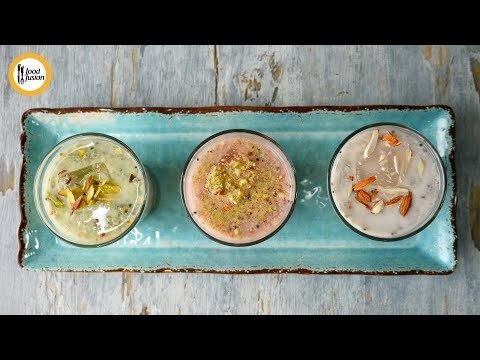 -Pani dal ker mix karein aur ubal anay dein. -Dhak dein aur halki darmiyani ancch per gosht gul janay tak paka lein (20-25 minutes). -Serving dish mein cooked meat,tamatar slices aur hara dhania dal ker pheeta huwa anda aur garam oil pour karein. -1-2 minutes kliya microwave ker lein & serve karein! 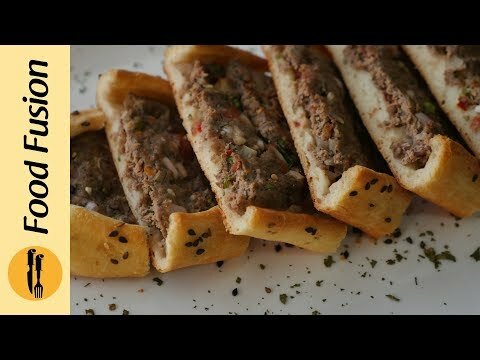 A Food Fusion touch to Turkish Pide . You can beef it up or cheese it up, you decide. Let us know how it goes in comments below #HappyCookingToyou #FoodFusion Written Recipe: https://goo.gl/Tz43MS Turkish Pide Recipe in English: Ingredients: Prepare Dough: -Khameer (Instant yeast) 1 & ½ tsp -Cheeni (Sugar) 2 tsp -Pani (Water) warm 1 Cup -Maida (All-purpose flour) 3 Cups -Namak (Salt) ½ tsp -Oil 2 tbs -Pani (Water) warm ¼ Cup or as required -Makhan (Butter) melted 1 tbs -Anda (Egg) 1 Beef Filling: -Beef qeema (Beef mince) 400 gms -Tamatar (Tomato) finely chopped 1 large -Pyaz (Onion) finely chopped 1 medium -Lehsan (Garlic) crushed 2 tbs -Hara dhania (Fresh coriander) chopped ¼ Cup -Zeera powder (Cumin powder) 1 tsp -Kali mirch powder (Black pepper powder) 1 tsp -Namak (Salt) ½ tsp or to taste -Sumac powder ½ tsp -Lal mirch (Red chili) crushed 1 tsp -Kalay til (Black sesame seeds) to sprinkle Cheese Filling: -Cheddar cheese grated ½ Cup or as required -Mozzarella cheese grated ½ Cup or as required -Lal mirch (Red chili) crushed to sprinkle -Mixed herbs to sprinkle -Kalonji (Nigella seeds) to sprinkle Directions: Prepare Dough: -In small jug,add instant yeast,sugar,warm water and mix well,cover and let it rest for 15 minutes. -In all-purpose flour,add salt,oil and mix well. -Now add yeast mixture and mix well. -Gradually add warm water and knead until dough is formed,cover and let it rest for 2-3 hours. -Grease your hands with oil and knead dough again until smooth.Dough is ready! -In bowl,add butter and egg,mix well & set aside. 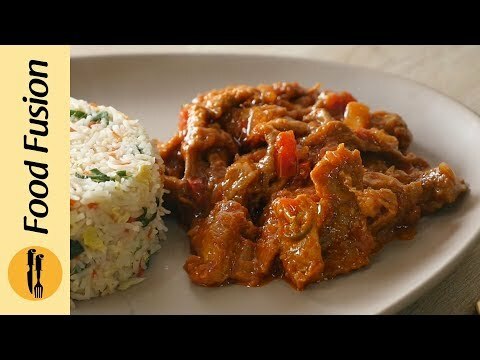 Beef Filling: -In bowl,add beef mince,tomato,onion,garlic,fresh coriander,cumin powder,black pepper powder,salt, sumac powder and red chili crushed,mix well and marinate for 30 minutes. -On working surface,sprinkle flour and knead dough again. -Cut the dough into pieces,sprinkle flour and roll out in oval shape with the help of rolling pin. -On baking tray,sprinkle flour and place rolled dough. -Add marinated beef mixture and spread evenly. -Now fold the edges/sides to make a boat shape. -Brush the edges/sides of the dough with egg+butter mixture and sprinkle black sesame seeds. -Bake in preheated oven at 200 C for 30 minutes or until golden brown. -Once cool,cut into slices and serve. Cheese Filling: -On baking tray,sprinkle flour and place rolled dough. -Add cheddar cheese,mozzarella cheese,red chili crushed and mixed herbs. -Now fold the edges/sides to make a boat shape. -Brush the edges/sides of the dough with egg+butter mixture and sprinkle nigella seeds. -Bake in preheated oven at 200 C for 20 minutes or until golden brown. -Once cool,cut into slices and serve. Recipe in Urdu: Directions: Prepare Dough: -Chotay jug mein khameer,cheeni aur neem garam pani dal ker ache tarhan mix karein aur dhak ker 15 minutes kliya rakh dein. -Maida mein namak aur oil dal ker ache tarhan mix ker lein. -Ab khameer ka mixture dal ker ache tarhan mix ker lein. -Thora thora ker ka neem garam pani shamil karein aur ghond ker dough tayyar ker lein aur dhak ker 2-3 hours kliya rakh dein. -Haathon ko oil sa grease karein aur dough ko smooth hunay tak dubara ghond lein.Dough tayyar hai. -Bowl mein makhan aur anda dal ker ache tarhan mix karein & side per rakh dein. Beef Filling: -Bowl mein beef qeema,tamatar,pyaz,lehsan,hara dhania,zeera powder,kali mirch powder,namak,sumac powder aur lal mirch crushed dal ker ache tarhan mix karein aur 30 minutes kliya marinate ker lein. -Working surface per maida chirak dein aur dough ko dubara ghond lein. -Dough ko pieces mein cut ker lein aur maida chirak ker rolling pin ki madad sa oval shape mein bail lein. -Baking tray per maida chirak dein aur rolled dough rakh dein. -Marinated beef mixture dal ker pheela lein. -Edges/sides ko fold ker ka boat shape bana lein. -Edges/sides ko anda+makhan ka mixture sa brush ker lein aur kalay til laga lein. -Preheated oven mein 200 C per 30 minutes ya golden brown hunay tak bake ker lein. -Thanda hunay ka bad slices mein cut ker lein & serva karein. Cheese Filling: -Baking tray per maida chirak dein aur rolled dough rakh dein. -Cheddar cheese,mozzarella cheese,lal mirch crushed aur mixed herbs dal dein. -Edges/sides ko fold ker ka boat shape bana lein. -Edges/sides ko anad+makhanka mixture sa brush ker lein aur kalonji laga lein. -Preheated oven mein 200 C per 20 minutes ya golden brown hunay tak bake ker lein. -Thanda hunay ka bad slices mein cut ker lein & serva karein. A must try restaurant quality Kindo Supreme Chicken recipe for you. Do give it a try and enjoy your meal #HappyCookingToYou Kindo Supreme Chicken Recipe in English: Ingredients: -Chicken fillets ½ kg -Anda (egg) beaten ½ -Soy sauce 1 tsp -Safed mirch powder (White pepper powder) ¼ tsp or to taste -Namak (Salt) ¼ tsp or to taste -Corn flour 1 tbs -Cooking oil for frying -Oil 2 tbs -Lehsan (Garlic) chopped 1 tsp -Hot sauce 2 tbs -Tabasco sauce 1 tbs -Tomato ketchup 3 tbs -Hp sauce 2 tbs -Pyaz (Onion) sliced 1 medium -Gajar (Carrot) julienne 1 Cup -Hara pyaz (Green onion) leaves 1 Cup -Lemon juice 1 tbs -Chicken powder ½ tsp -Namak (Salt) ¼ tsp or to taste -Cheeni (Sugar) 3 tsp -Safed mirch powder (White pepper powder) ¼ tsp or to taste -Pani (Water) 1 Cup or as required -Corn flour ½ tbs -Pani (Water) 2 tbs or as required -Safed til (Sesame seeds) 1 tbs Directions: -Cut chicken fillets into thin strips & set aside. -In bowl,add egg,soy sauce,white pepper powder,salt,corn flour and whisk well. -Add chicken strips,mix well and marinate for 15 minutes. -In wok,heat cooking oil and fry marinated chicken until light golden & set aside. -In wok,add oil,garlic and mix. -Add hot sauce and mix. -Add tabasco sauce,tomato ketchup,hp sauce and mix well. -Now add fried chicken and mix well. -Add onion,carrot,green onion leaves and give it a good mix. -Add lemon juice,chicken powder,salt,sugar,white pepper powder and mix well. -Add water and mix well. -In corn flour,add water and mix well. -Now add dissolve corn flour,mix well and cook until sauce thickens. -Add sesame seed,mix & serve! Recipe in Urdu: Ajza: -Chicken fillets ½ kg -Anda (egg) beaten ½ -Soy sauce 1 tsp -Safed mirch powder (White pepper powder) ¼ tsp or to taste -Namak (Salt) ¼ tsp or to taste -Corn flour 1 tbs -Cooking oil for frying -Oil 2 tbs -Lehsan (Garlic) chopped 1 tsp -Hot sauce 2 tbs -Tabasco sauce 1 tbs -Tomato ketchup 3 tbs -Hp sauce 2 tbs -Pyaz (Onion) sliced 1 medium -Gajar (Carrot) julienne 1 Cup -Hara pyaz (Green onion) leaves 1 Cup -Lemon juice 1 tbs -Chicken powder ½ tsp -Namak (Salt) ¼ tsp or to taste -Cheeni (Sugar) 3 tsp -Safed mirch powder (White pepper powder) ¼ tsp or to taste -Pani (Water) 1 Cup or as required -Corn flour ½ tbs -Pani (Water) 2 tbs or as required -Safed til (Sesame seeds) 1 tbs Directions: -Chicken fillets ko thin strips mein cut ker lein & side per rakh dein. -Bowl mein anda,soy sauce,safed mirch powder,namak aur corn flour dal ker ache tarhan whisk ker lein. -Chicken strips dal ker ache tarhan mix karein aur 15 minutes kliya marinate ker lein. -Karhai mein cooking oil garam karein aur marinated chicken ko light golden hunay tak fry ker lein & side per rakh dein. 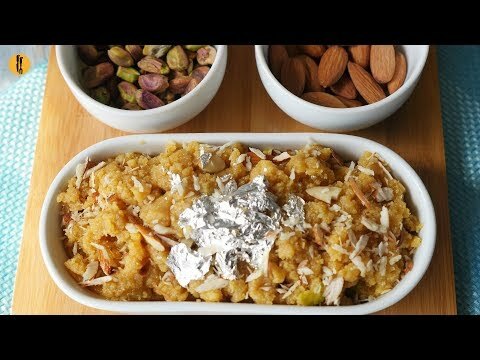 -Karhai mein oil aur lehsan dal ker mix karein. -Hot sauce dal ker mix ker lein. -Tabasco sauce,tomato ketchup aur hp sauce dal ker ache tarhan mix ker lein. -Ab fried chicken shamil karein aur ache tarhan mix karein. -Pyaz,gajar aur hara pyaz leaves dal ker mix ker lein. -Lemon juice,chicken powder,namak,cheeni aur safed mirch powder dal ker ache tarhan mix ker lein. -Pani shamil karein aur ache tarhan mix karein. -Corn flour mein pani dal ker mix ker lein. -Ab dissolve corn flour shamil karein aur sauce garha hunay tak paka lein. -Safed til dal ker mix ker lein & serve karein! 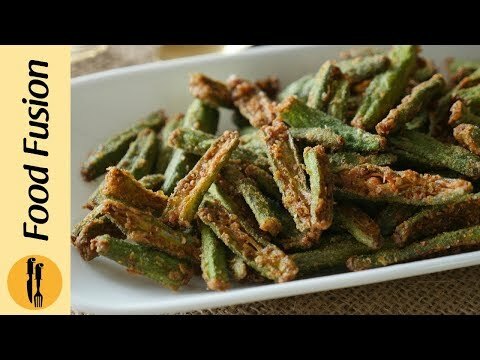 Kurkuri Bhindi Recipe in English: Ingredients: -Bhindi (Okra) 250 gms (washed & pat dry) -Lal mirch powder (Red chili powder) 1 tsp or to taste -Garam masala powder 1 tsp -Haldee powder (Turmeric powder) ¼ tsp -Namak (Salt) ½ tsp or to taste -Dhania powder (Coriander powder) ½ tsp -Baisan (Gram flour) 2 & ½ tbs -Oil for frying Directions: -Wash,pat dry and slice okra vertically into 4 pieces. -In bowl,add okra,red chili powder,garam masala powder,turmeric powder,salt and coriander powder, mix well and let it rest for 10 minutes. -Add gram flour,mix well & set aside. -In pot,heat oil and fry until golden & crispy. Recipe in Urdu: Ajza: -Bhindi (Okra) 250 gms (washed & pat dry) -Lal mirch powder (Red chili powder) 1 tsp or to taste -Garam masala powder 1 tsp -Haldee powder (Turmeric powder) ¼ tsp -Namak (Salt) ½ tsp or to taste -Dhania powder (Coriander powder) ½ tsp -Baisan (Gram flour) 2 & ½ tbs -Oil for frying Directions: -Bhindi ko dho ker pat dry karein aur vertically 4 pieces mein cut ker lein. -Bowl mein bhindi,lal mirch powder,garam masala powder,haldee powder,namak aur dhania powder dal ker ache tarhan mix karein aur 10 minutes kliya rakh dein. -Baisan dal ker ache tarhan mix karein aur side per rakh dein. -Pot mein oil garam karein aur golden & crispy hunay tak fry ker lein. The most amazing Salad you will ever try. Make Chicken Shawarma Salad with this recipe and you will not be able to resist making it again. #HappyCookingToYou More recipes on www.foodfusion.com Chicken Shawarma Salad Recipe in English: Ingredients: Prepare Grilled Chicken: -Paprika powder 1 tsp -Elaichi powder (Cardamom powder) ¼ tsp -Namak (Salt) 1 tsp or to taste -Laung powder (Clove powder) ¼ tsp -Lehsan powder (Garlic powder) 1 tsp -Darchini powder (Cinnamon powder) ¼ tsp -Lal mirch powder (Red chili powder) 1 tsp or to taste -Zeera powder (Cumin powder) 1 tsp -Garam masala powder ½ tsp -Olive oil 1 tbs -Dahi (Yogurt) strained 2 tbs -Chicken fillets 2 -Oil Toasted Garlic Pita Bread: -Makhan (Butter) 2-3 tbs -Lehsan powder (Garlic powder) 1 tsp -Pita bread 2-3 Prepare Yogurt Sauce: -Dahi (Yogurt) strained ½ Cup -Lemon juice 1 tsp -Tahini paste 1 tbs -Namak (Salt) ¼ tsp or to taste -Kali mirch powder (Black pepper powder) ½ tsp -Lehsan powder (Garlic powder) ¼ tsp Prepare Salad: -Salad patta (Lettuce leaves) chopped 2 Cups -Pyaz (Onion) diced 1 -Tamatar (Tomato) deseeded & diced 2 medium -Kheera (Cucumber) diced 1-2 -Black olives ¼ Cup -Feta cheese cubes ¼ Cup -Hara dhania (Fresh coriander) chopped 1-2 tbs Assembling: -Prepared salad -Toasted garlic pita bread -Grilled chicken -Yogurt sauce Directions: Prepare Grilled Chicken: -In bowl,add paprika powder,cardamom powder,salt,cloves powder,garlic powder,cinnamon powder, red chili powder,cumin powder,garam masala powder,olive oil,yogurt and mix well. -Add chicken pieces,mix well and marinate for 2 hours. -Grease grill pan with oil and grill marinated chicken from both sides until done while brushing with oil. -Then cut into desired pieces and set aside. For Toasted Garlic Pita bread: -In butter,add garlic powder and mix well,brush pita bread with garlic flavored butter. -Heat griddle,place pita bread and brush top with garlic flavored butter. -Toast from both sides until golden brown. -Cut pita bread into desired pieces. Prepare Yogurt Sauce: -In bowl,add yogurt,lemon juice,tahini paste,salt,black pepper powder,garlic powder and mix well & set aside. Prepare Salad: -In bowl,add lettuce leaves,onion,tomato,cucumber,black olives,feta cheese,fresh coriander and mix well. 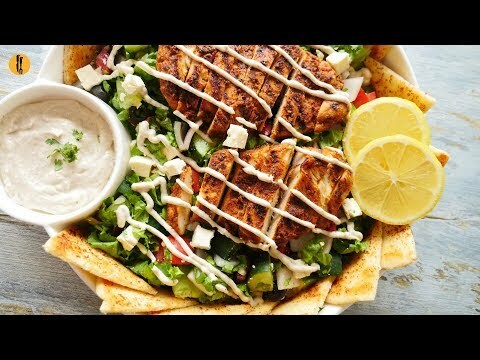 Assembling: -On serving plate,add prepared salad,toasted garlic pita bread,grilled chicken,drizzle yogurt sauce & serve. Recipe in Urdu: Ajza: Prepare Grilled Chicken: -Paprika powder 1 tsp -Elaichi powder (Cardamom powder) ¼ tsp -Namak (Salt) 1 tsp or to taste -Laung powder (Clove powder) ¼ tsp -Lehsan powder (Garlic powder) 1 tsp -Darchini powder (Cinnamon powder) ¼ tsp -Lal mirch powder (Red chili powder) 1 tsp or to taste -Zeera powder (Cumin powder) 1 tsp -Garam masala powder ½ tsp -Olive oil 1 tbs -Dahi (Yogurt) strained 2 tbs -Chicken fillets 2 -Oil Toasted Garlic Pita Bread: -Makhan (Butter) 2-3 tbs -Lehsan powder (Garlic powder) 1 tsp -Pita bread 2-3 Prepare Yogurt Sauce: -Dahi (Yogurt) strained ½ Cup -Lemon juice 1 tsp -Tahini paste 1 tbs -Namak (Salt) ¼ tsp or to taste -Kali mirch powder (Black pepper powder) ½ tsp -Lehsan powder (Garlic powder) ¼ tsp Prepare Salad: -Salad patta (Lettuce leaves) chopped 2 Cups -Pyaz (Onion) diced 1 -Tamatar (Tomato) deseeded & diced 2 medium -Kheera (Cucumber) diced 1-2 -Black olives ¼ Cup -Feta cheese cubes ¼ Cup -Hara dhania (Fresh coriander) chopped 1-2 tbs Assembling: -Prepared salad -Toasted garlic pita bread -Grilled chicken -Yogurt sauce Direction: Prepare Grilled Chicken: -Bowl mein paprika powder,elaichi powder,namak,laung powder,lehsan powder,darchini powder,lal mirch powder,zeera powder,garam masala powder,olive oil aur dahi dal ker ache tarhan mix ker lein. -Chicken pieces dal ker ache tarhan mix karein aur 2 hours kliya marinate ker lein. -Grill pan ko oil sa grease karein aur marinated chicken pieces dal ker dono sides sa grill ker lein aur oil ko brush ker lein. -Phir desired pieces mein cut ker lein aur side per rakh dein. 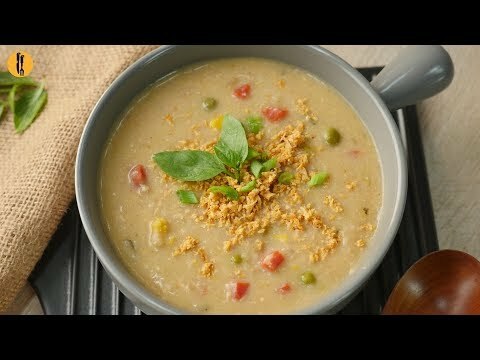 For Toasted Garlic Pita bread: -Makhan mein lehsan powder dal ker ache tarhan mix karein aur lehsan flavored makhan ko pita bread per laga lein. -Tawan garam karein aur pita bread rahk dein aur lehsan flavored butter ko laga lein. -Dono sides sa golden brown hunay tak toast ker lein. -Pita bread ko desired shapes mein cut ker lein. Prepare Yogurt Sauce: -Bowl mein dahi,lemon juice,tahini paste,namak,kali mirch powder aur lehsan powder dal ker ache tarhan mix ker lein & side per rakh dein. Prepare Salad: -Bowl mein salad patta,pyaz,tamatar,kheera,black olives,feta cheese aur hara dhania dal ker ache tarhan mix ker lein. Assembling: -Serving plate mein prepared salad,toasted garlic pita bread aur grilled chicken rakh dein aur yogurt sauce drizzle ker ka serve karein. Start making the best chicken nuggets at home and let the kids ask for more. 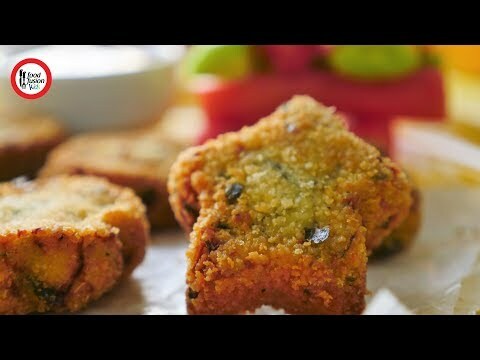 Try our Haray Bharay Nuggets recipe today. #HappyParentingToYou Written Recipe: https://goo.gl/eYFLJH More Recipes on: http://www.Foodfusion.com Haray Bharay Nuggets Recipe in English: Ingredients: -Hara dhania (Fresh coriander) 3 tbs -Podina (Mint leaves) 2 tbs -Hari mirch (Green chilies) 1-2 -Bread slices 2 -Chicken boneless cubes 500 gms -Kali mirch (Black pepper) powder 1 tsp -Namak (Salt) 1 tsp or to taste -Lehsan paste (Garlic paste) 1 & ½ tsp -Anda (Egg) 1 -Bread crumbs 1 Cup -Dried parsley 1 tbs -Anday (Eggs) 2 -Doodh (Milk) ¼ Cup -Maida (All-purpose flour) ½ Cup -Corn flour ¼ Cup -Kali mirch (Black pepper) powder ½ tsp -Namak (Salt) ½ tsp -Oil for frying Directions: -In chopper,add fresh coriander,mint leaves,green chilies,bread slices and chop well. -Add chicken,black pepper powder,salt,garlic paste,egg and chop until well combined and refrigerate for 30 minutes. -If mixture is too soft,add bread slices or if the mixture is too hard,add milk. -In bowl,add bread crumbs and dried parsley,mix well & set aside. -In bowl,add eggs and milk,whisk well & set aside. -In bowl,add all-purpose flour,corn flour,black pepper powdersalt and mix well. -Grease your hands with oil,take a mixture and make a ball. -Now coat in all-purpose flour mixture and dip into beaten eggs then coat in bread crumbs. -Cut into desired shape with the help of the cutter. -In frying pan,heat oil and fry until golden brown. -Can be stored up to 1 month in freezer. Recipe in Urdu: Ajza: -Hara dhania (Fresh coriander) 3 tbs -Podina (Mint leaves) 2 tbs -Hari mirch (Green chilies) 1-2 -Bread slices 2 -Chicken boneless cubes 500 gms -Kali mirch (Black pepper) powder 1 tsp -Namak (Salt) 1 tsp or to taste -Lehsan paste (Garlic paste) 1 & ½ tsp -Anda (Egg) 1 -Bread crumbs 1 Cup -Dried parsley 1 tbs -Anday (Eggs) 2 -Doodh (Milk) ¼ Cup -Maida (All-purpose flour) ½ Cup -Corn flour ¼ Cup -Kali mirch (Black pepper) powder ½ tsp -Namak (Salt) ½ tsp -Oil for frying Directions: -Chopper mein hara dhania,podina,hari mirchein aur bread slices dal ker ache tarhan chop ker lein. -Chicken,kali mirch powder,namak,lehsan paste aur anda dal ker ache tarhan chop karein aur 30 minutes kliya refrigerate ker lein. -Agar mixture bohat naram ho jaye tou bread slices dal dein or agar mixture bohat hard ho jaye tou doodh shamil ker lein. -Bowl mein bread crumbs aur dried parsley dal ker ache tarhan mix ker lein & side per rakh dein. -Bowl mein anday aur doodh dal ker ache tarhan whisk ker lein & side per rakh dein. -Bowl mein maida,corn flour,kali mirch powder aur namak dal ker ache tarhan mix ker lein. -Haathon ko oil sa grease karein aur mixture ko la ker ball bana lein. -Ab maida ka mixture mein coat ker lein aur pheetay hoye anday mein dip karein phir bread crumbs mein coat ker lein. -Cutter ki madad sa desired shape mein cut ker lein. -Frying pan mein oil garam karein aur golden brown hunay tak fry ker lein. -Freezer mein 1 month tak store ker saktay han. Make restaurant quality dynamite chicken at home and enjoy with family. #HappyCookingToYou Dynamite Chicken Recipe in English: Ingredients: -Chicken boneless cubes ½ kg -Soy sauce 1 tbs -Paprika powder 1 tbs -Namak (Salt) 1 tsp or to taste -Dried oregano 2 tsp -Lehsan powder (Garlic powder) 1 tsp -Corn flour ½ Cup -Atta (Wheat flour) ½ Cup -Kali mirch powder (Black pepper powder) ½ tsp or to taste -Namak (Salt) ½ tsp or to taste -Anday (Eggs) 2 -Oil for frying -Sriracha sauce or Chili sauce 4 tbs -Mayonnaise ¾ Cup -Tomato ketchup 2-3 tbs -Shahad (Honey) 1 tsp -Lehsan powder (Garlic powder) ½ tsp -Paprika powder ½ tsp -Hara pyaz (Green onion) Directions: -Pat dry chicken boneless cubes with kitchen towel or paper. -In chicken boneless cubes,add soy sauce,paprika powder,salt,dried oregano and garlic powder,mix well and marinate for 30 minutes. -In bowl,add corn flour,wheat flour,black pepper powder and salt,mix well & set aside. -In bowl,add eggs,whisk well & set aside. -Now coat marinated chicken cubes in dry flour mixture then dip into beaten egg and again coat in dry flour mixture. -In wok,heat oil and fry until golden brown & set aside. -In bowl,add sriracha sauce or chili sauce,mayonnaise,tomato ketchup,honey,garlic powder,paprika powder and mix well. 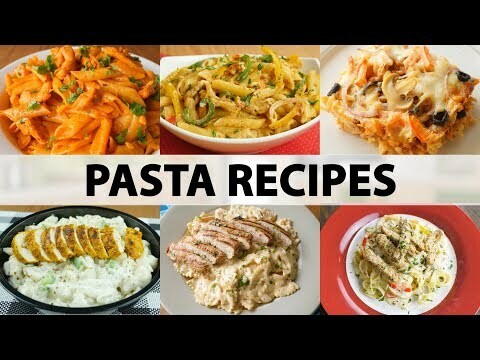 -In prepared sauce,add cooked chicken and coat well. -Sprinkle green onion leaves & serve. 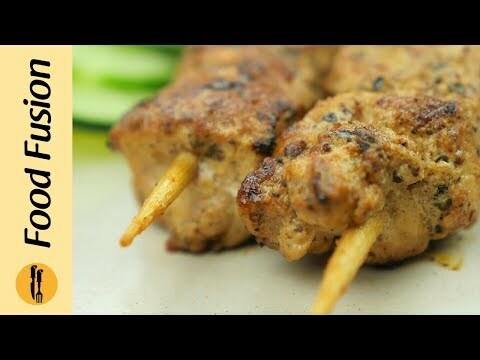 Recipe in Urdu: Ajza: -Chicken boneless cubes ½ kg -Soy sauce 1 tbs -Paprika powder 1 tbs -Namak (Salt) 1 tsp or to taste -Dried oregano 2 tsp -Lehsan powder (Garlic powder) 1 tsp -Corn flour ½ Cup -Atta (Wheat flour) ½ Cup -Kali mirch powder (Black pepper powder) ½ tsp or to taste -Namak (Salt) ½ tsp or to taste -Anday (Eggs) 2 -Oil for frying -Sriracha sauce or Chili sauce 4 tbs -Mayonnaise ¾ Cup -Tomato ketchup 2-3 tbs -Shahad (Honey) 1 tsp -Lehsan powder (Garlic powder) ½ tsp -Paprika powder ½ tsp -Hara pyaz (Green onion) Directions: -Chicken boneless cubes ko kitchen towel or paper ki madad sa pat dry ker lein. -Chicken boneless cubes mein soy sauce,paprika powder,namak,dried oregano aur lehsan powder dal ker ache tarhan mix karein aur 30 minutes kliya marinate ker lein. -Bowl mein corn flour,atta,kali mirch powder aur namak dal ker ache tarhan mix ker lein & side per rakh dein. -Bowl mein anday dal ker ache tarhan whisk ker lein & side per rakh dein. -Ab marinated chicken cubes ko dry atta mein coat karein phir pheetay hoye anday mein dip ker ka dubara dry atta mein coat ker lein. -Karhai mein oil garam karein aur golden brown hunay tak fry ker lein & side per rakh dein. -Bowl mein sriracha sauce or chili sauce,mayonnaise,tomato ketchup,shahad,lehsan powder aur paprika powder dal ker ache tarhan mix ker lein. -Ab tayyar sauce mein cooked chicken dal ker ache tarhan coat ker lein. -Hara pyaz dal ker serve karein. 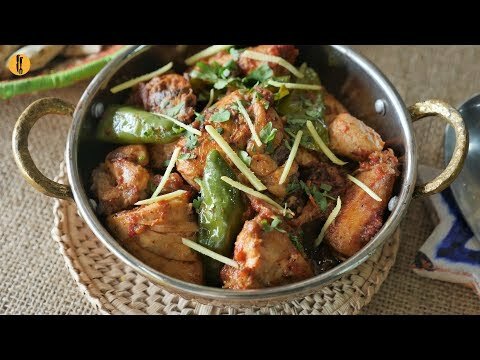 Unbelievably simple and tasty Shinwari Chicken karahi Recipe. Definitely a must try. Simple ingredients and best taste. #HappyCookingToYou Written Recipe: https://goo.gl/kg8GAW More Karahi Recipes: https://goo.gl/FG7PVJ Shinwari Chicken Karahi Recipe in English: Ingredients: -Oil ½ Cup -Chicken karhai cut ½ kg -Lehsan paste (Garlic paste) 1 tbs -Tamatar (Tomatoes) halves 3-4 medium -Hari mirch (Green chilies) 3-4 -Kali mirch (Black pepper) crushed 1 tsp ot to taste -Namak (Salt) 1 tsp or to taste -Hara dhania (Fresh coriander) chopped -Adrak (Ginger) julienne Directions: -In wok,add oil and chicken,mix well until changes color. -Add garlic paste,mix well and fry until light golden. 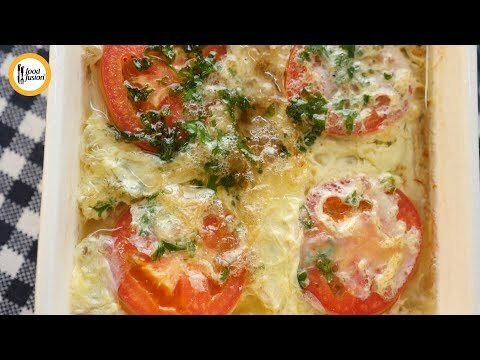 -Add tomatoes,cover and cook on low flame for 10-15 minutes or until tomatoes are tender. -Remove skin,mix well and cook on high flame for 2-3 minutes. -Add green chilies and mix well. -Add black pepper crushed,salt and mix well for 1-2 minutes. -Garnish with fresh coriander,ginger & serve. Recipe in Urdu: Ajza: -Oil ½ Cup -Chicken karhai cut ½ kg -Lehsan paste (Garlic paste) 1 tbs -Tamatar (Tomatoes) halves 3-4 medium -Hari mirch (Green chilies) 3-4 -Kali mirch (Black pepper) crushed 1 tsp ot to taste -Namak (Salt) 1 tsp or to taste -Hara dhania (Fresh coriander) chopped -Adrak (Ginger) julienne Directions: -Karhai mein oil aur chicken dal dein aur rang tabdeel hunay tak ache tarhan mix ker lein. -Lehsan paste dal ker ache tarhan mix karein aur light golden hunay tak fry ker lein. -Tamatar dal ker dhak dein aur halki ancch per 10-15 minutes ya tamatar naram hunay tak paka lein. -Skin ko nikal ker ache tarhan mix ker lein aur tez ancch per 2-3 minutes kliya paka lein. -Hari mirch dal ker ache tarhan mix karein. -Kali mirch crushed and namak dal dein aur 1-2 minutes kliya ache tarhan mix ker lein. -Hara dhania aur adrak sa garnish ker ka serve karein. 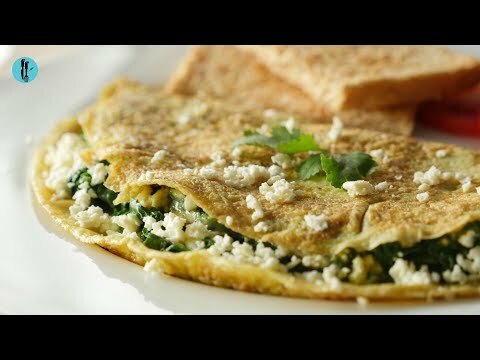 Healthy Spinach Omelette Recipe in English: Ingredients: -Anday (Eggs) 3 -Pani (Water) 1 tbs -Kali mirch powder (Black pepper powder) ¼ tsp -Namak (Salt) ¼ tsp or to taste -Olive oil ½ tsp -Lehsan (Garlic) crushed ¼ tsp -Palak (Spinach) 1 Cup -Namak (Salt) 1 pinch -Makhan (Butter) 1 tsp -Feta cheese -Kali mirch (Black pepper) crushed ¼ tsp Directions: -In jug,add eggs,water,black pepper powder and salt,whisk well & set aside. -In frying pan,add olive oil,garlic and spinach,sauté for 1-2 minutes. -Add salt and mix well then set aside. -In frying pan,add butter and let it melt,add omelet mixture and spread it. -Cover and cook on low flame for 1-2 minutes. -Add cooked spinach,feta cheese,black pepper crushed and fold,cover and cook on low flame for 1 more minute. Recipe in Urdu: Ajza: -Anday (Eggs) 3 -Pani (Water) 1 tbs -Kali mirch powder (Black pepper powder) ¼ tsp -Namak (Salt) ¼ tsp or to taste -Olive oil ½ tsp -Lehsan (Garlic) crushed ¼ tsp -Palak (Spinach) 1 Cup -Namak (Salt) 1 pinch -Makhan (Butter) 1 tsp -Feta cheese -Kali mirch (Black pepper) crushed ¼ tsp Directions: -Jug mein anday,pani,kali mirch powder aur namak dal ker ache tarhan whisk ker lein & side per rakh dein. -Frying pan mein olive oil,lehsan aur palak dal ker 1-2 minutes kliya sauté ker lein. -Namak dal ker ache tarhan mix ker lein phir side per rakh dein. -Frying pan mein makhan dal ker melt ker lein,omelet mixture dal ker pheela lein. -Dhak dein aur halki ancch per 1-2 minutes kliya paka lein. -Cooked palak,feta cheese,kali mirch crushed dal dein aur fold ker lein,dhak ker halki ancch per ek aur minute kliya paka lein. 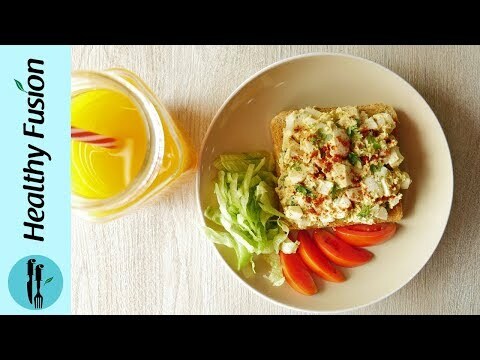 Quick Egg Salad Sandwich Recipe in English: Ingredients: -Anday (Eggs) hard boiled 6 -Dahi (Yogurt) strained 2 tbs -Mustard paste 1 tbs -Lemon juice ½ tsp -Mixed herbs ½ tsp -Namak (Salt) ½ tsp or to taste -Kali mirch powder (Black pepper powder) ½ tsp -Pickled jalapenos finely chopped 2 tsp -Pyaz (Onion) chopped 1 tbs -Hara dhania (Fresh coriander) 1 tsp -Brown bread slices toasted -Paprika powder to sprinkle -Hara dhania (Fresh coriander) Directions: -Boil eggs with salt until hard and remove the shells. -Cut eggs into two halves and separates egg yolks & egg whites. -In bowl,add egg yolks,yogurt,mustard paste,lemon juice,mixed herbs,salt and black pepper powder,mix well. -Add pickled jalapenos,onion,fresh coriander and mix well. -Chop egg whites and add in bowl and give it a good mix. -On toasted bread slice,spread mixture,spinkle paprika powder,fresh coriander & serve. Recipe in Urdu: Ajza: -Anday (Eggs) hard boiled 6 -Dahi (Yogurt) strained 2 tbs -Mustard paste 1 tbs -Lemon juice ½ tsp -Mixed herbs ½ tsp -Namak (Salt) ½ tsp or to taste -Kali mirch powder (Black pepper powder) ½ tsp -Pickled jalapenos finely chopped 2 tsp -Pyaz (Onion) chopped 1 tbs -Hara dhania (Fresh coriander) 1 tsp -Brown bread slices toasted -Paprika powder to sprinkle -Hara dhania (Fresh coriander) Directions: -Anday ko namak ka saath hard boil ker lein aur chilkay ko remove ker lein. -Anday ko beech mein sa do hison mein cut karein aur anday ki zardi aur safeedi ko alag alag ker lein. -Bowl mein egg yolks,dahi,mustard paste,lemo juice,mixed herbs,namak aur kali mirch powder dal ker ache tarhan mix karein. -Pickled jalapenos,pyaz aur hara dhania dal ker ache tarhan mix ker lein. -Egg whites ko chop ker lein aur bowl mein dal dein aur ache tarhan mix ker lein. -Toasted bread slice per mixture ko spread karein,paprika powder chirak ker hara dhania dal dein & serve karein. On popular demand here is baked and air fried chicken tender pops recipe.l Bake it , air fry it or simply fry it in oil you choose !. #HappyCookingToyou #ShanSpices Chicken Tender pops Recipe in English: Ingredients: -Chicken boneless cubes ½ kg -Paprika powder 1 tsp -Lehsan powder (Garlic powder) 1 tsp -Namak (Salt) 1 tsp or to taste -Kali mirch powder (Black pepper powder) 1 tsp -Onion powder 1 tsp -Lal mirch powder (Red chili powder) 1 tsp or to taste -Corn flakes 1 Cup or as required -Anday (Eggs) 2 -Doodh (Milk) 2 tbs -Maida (All-purpose flour) 1 Cup or as required Directions: -In bowl,add chicken boneless cubes,paprika powder,garlic powder,salt,black pepper powder,onion powder and red chili powder,mix well and let it marinate for 15 minutes. -In zip lock,add corn flakes and crush coarsely with the help of the rolling pin. -In bowl,add crushed corn flakes. -In bowl,add eggs,milk and whisk well. -Now coat marinated chicken pieces in all-purpose flour then dip into beaten eggs and coat in crushed corn flakes. Option # 1: To Bake -On baking tray,place butter paper and coated chicken pieces. -Bake in preheated oven at 180 C for 15 minutes. Option # 2: To Air Fry -In air fryer machine,place coated chicken pieces and air fry at 180 C for 10 minutes or deep fry until golden brown. 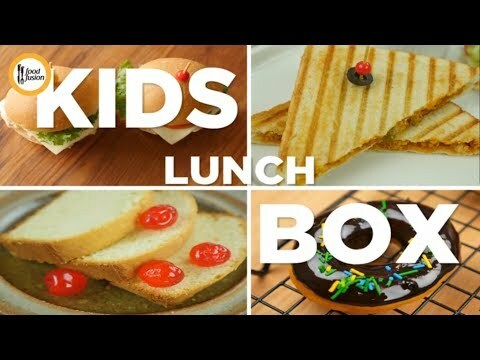 -Serve with tomato ketchup! Recipe in Urdu: Ajza: -Chicken boneless cubes ½ kg -Paprika powder 1 tsp -Lehsan powder (Garlic powder) 1 tsp -Namak (Salt) 1 tsp or to taste -Kali mirch powder (Black pepper powder) 1 tsp -Onion powder 1 tsp -Lal mirch powder (Red chili powder) 1 tsp or to taste -Corn flakes 1 Cup or as required -Anday (Eggs) 2 -Doodh (Milk) 2 tbs -Maida (All-purpose flour) 1 Cup or as required Directions: -Bowl mein chicken boneless cubes,paprika powder,lehsan powder,namak,kali mirch powder,onion powder aur lal mirch powder dal ker ache tarhan mix karein aur 15 minutes kliya marinate ker lein. -Zip lock mein corn flakes dal dein aur rolling pin ki madad sa coarsely crush ker lein. -Bowl mein crushed corn flakes dal dein. -Bowl mein anday aur doodh dal ker ache tarhan whisk ker lein. -Ab marinated chicken pieces ko maida mein coat karein phir pheetay hoye anday mein dip ker ka crushed corn flakes mein coat karein. Option # 1: To Bake -Baking tray per butter paper laga ker coated chicken pieces rakh dein. -Preheated oven mein 180 C per 15 minutes kliya bake ker lein. Option # 2: To Air Fry -Air fryer machine mein coated chicken pieces rakh dein aur 180 C per 10 minutes kliya air fry or golden brown hunay tak deep fry ker lein. -Tomato ketchup ka saath serve karein! Homemade restaurant quality hot and spicy beef recipe for you. #HappyCookingToYou #FoodFusion Hot & Spicy Beef Recipe in English: Ingredients: -Beef undercut ½ kg -Namak (Salt) ¼ tsp or to taste -Safed mirch powder (White pepper powder) ¼ tsp -Anda (Egg) beaten ½ -Pani (Water) 1-2 tbs -Corn flour 1 tbs -Cooking oil for frying -Cooking oil 2 tbs -Adrak paste (Ginger paste) 1 tsp -Lehsan paste (Garlic paste) 1 tsp -Tamatar (Tomato) deseeded & chopped 1 large -Pyaz (Onion) chopped 2 medium -Hari mirch (Green chilies) chopped 2 -Tomato ketchup ½ Cup -Chinese red chili paste 4 tbs -Namak (Salt) 1 tsp or to taste -Cheeni (Sugar) 2 tsp -Safed mirch powder (White pepper powder) ½ tsp -Lemon juice 1 tbs Directions: -Cut beef undercut into thin strips. -In bowl,add beef strips,salt,white pepper powder and egg. -In water,add corn flour and mix well. -Now add dissolve corn flour,mix well & set aside. -In wok,heat cooking oil and fry beef strips on medium flame for 8-10 minutes & set aside. -In wok,add cooking oil,ginger paste,garlic paste and mix well. -Add tomato,onion and green chilies,mix well and cook for 2 minutes. -Now add fried beef and mix well. -Add tomato ketchup,chinese red chili paste and mix well. -Add salt,sugar,white pepper powder and lemon juice,mix well and cook for 2-3 minutes & serve. Recipe in Urdu: Ajza: -Beef undercut ½ kg -Namak (Salt) ¼ tsp or to taste -Safed mirch powder (White pepper powder) ¼ tsp -Anda (Egg) beaten ½ -Pani (Water) 1-2 tbs -Corn flour 1 tbs -Cooking oil for frying -Cooking oil 2 tbs -Adrak paste (Ginger paste) 1 tsp -Lehsan paste (Garlic paste) 1 tsp -Tamatar (Tomato) deseeded & chopped 1 large -Pyaz (Onion) chopped 2 medium -Hari mirch (Green chilies) chopped 2 -Tomato ketchup ½ Cup -Chinese red chili paste 4 tbs -Namak (Salt) 1 tsp or to taste -Cheeni (Sugar) 2 tsp -Safed mirch powder (White pepper powder) ½ tsp -Lemon juice 1 tbs Directions: -Beef ko thin strips mein cut ker lein. -Bowl mein beef strips,namak,safed mirch powder aur anda dal dein. -Pani mein corn flour dal ker ache tarhan mix ker lein. -Ab dissolve corn flour dal ker ache tarhan mix karein & side per rakh dein. -Karhai mein cooking oil garam karein aur beef strips ko halki darmiyani ancch per 8-10 minutes kliya fry ker lein & side per rakh dein. -Karhai mein cooking oil aur adrak lehsan paste dal ker ache tarhan mix ker lein. -Tamatar,pyaz aur hari mirchein dal ker ache tarhan mix karein aur 2 minutes kliya paka lein. -Ab fried beef shamil karein aur ache tarhan mix ker lein. -Tomato ketchup aur chinese red chili paste dal ker ache tarhan mix karein. -Namak,cheeni,safed mirch powder aur lemon juice dal ker ache tarhan mix karein aur 2-3 minutes kliya paka lein & serve karein.